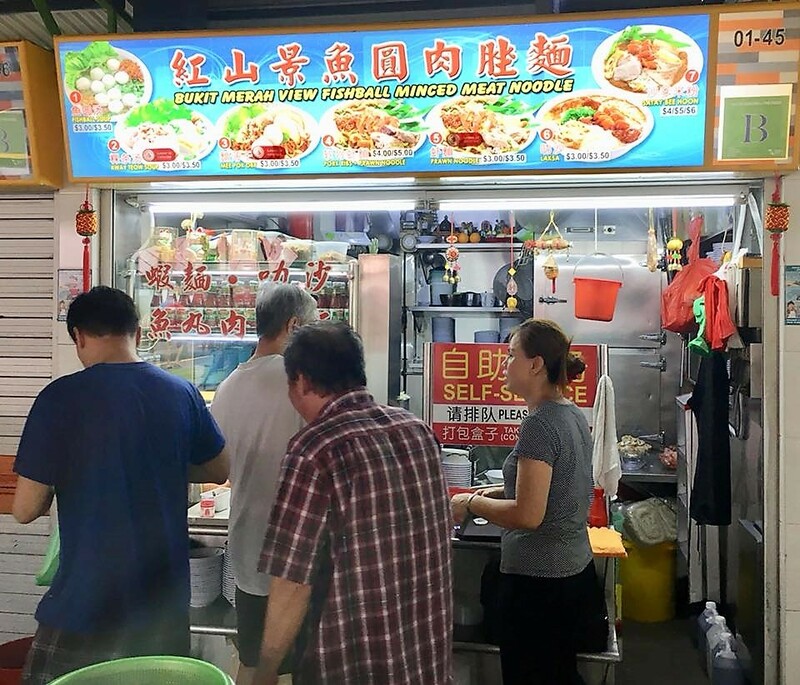 I went to meet him at bukit merah view food centre..
we had S$3 laksa & chendol. 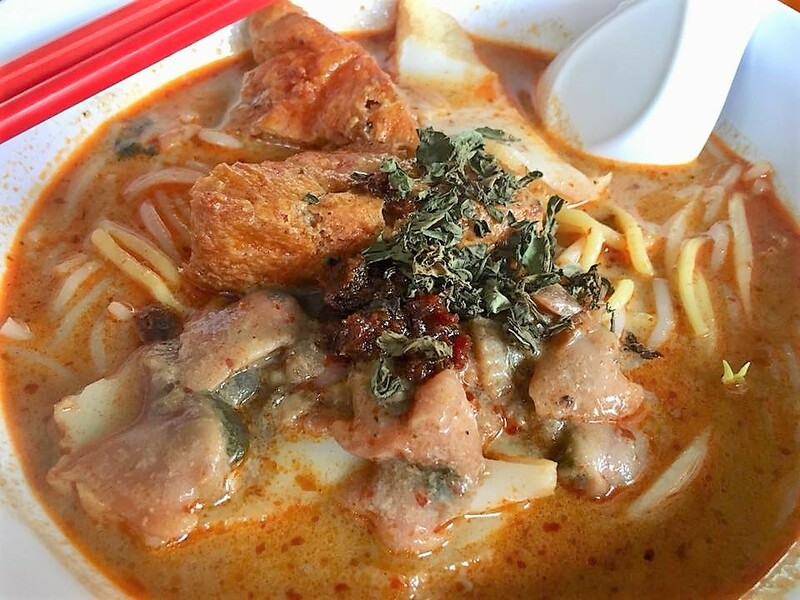 the laksa was good, nice lemak savoury gravy, and quite good serving of plump cockles, better than i expected from a fishball noodles stall. the chendol was pretty good too! 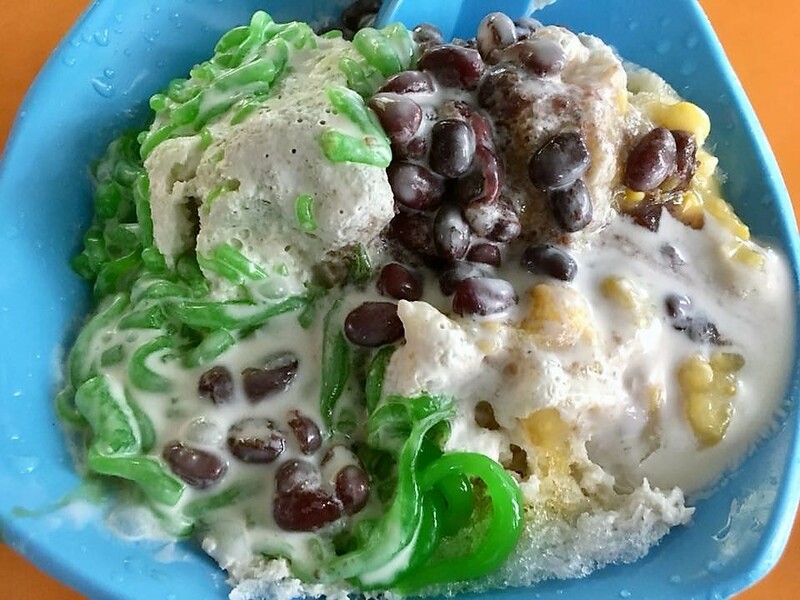 coconut milk was thick, no kidney beans just ordinary red beans & gula melaka not thick enough but otherwise ok.
i took ice kachang here last couple times but this standard of chendol ok for me. 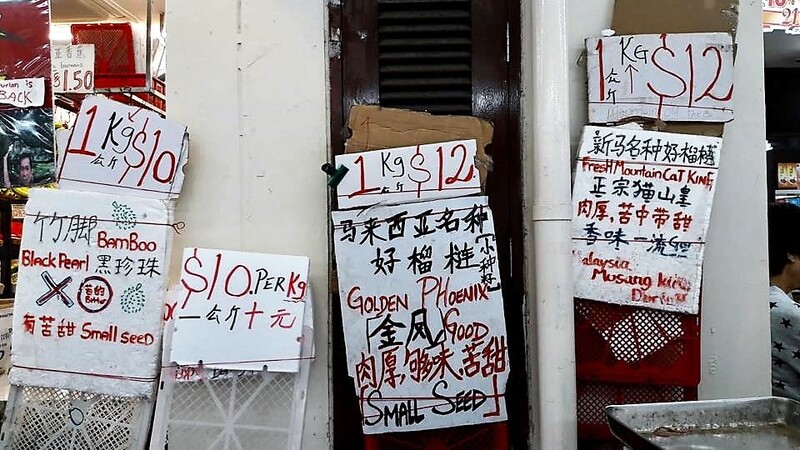 durian was S$12, so the $54 would be like 3.5kg. i brought to my brother’s home next day but actually it was not that great. 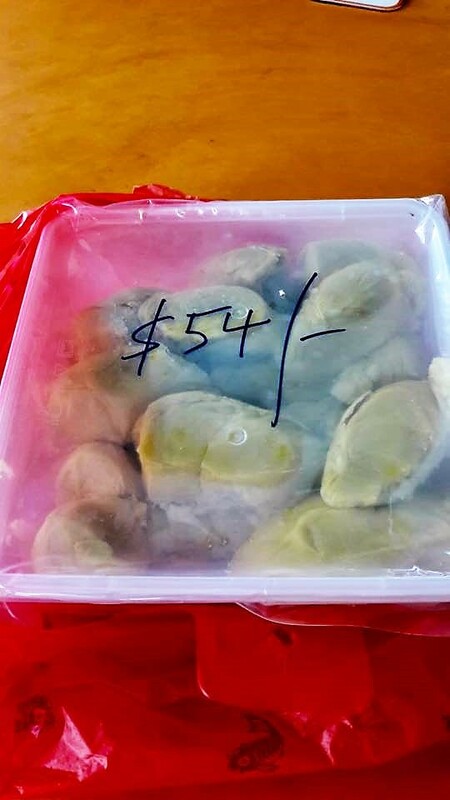 still nice msw flavours, not near the best, and large seeds also not so many pieces for 3 durians c/w with the 2 durians we shared for 4pax last friday.